For today’s post I invited Erin Little, a professional editorial and lifestyle photographer based in Maine to share some flower photography tips along with information about her upcoming creative photography e-course. Chris and I took Erin’s Eyes Open Photography E-Course years ago and it was a game changer for us. After years of struggling, we finally understood our digital camera, how to work with the light, how to tell our story visually and really how to take our images to a whole new level. If you’re a farmer wanting to share the beauty that’s coming out of your fields, or you’re a florist needing to capture your gorgeous work as it heads out the door, or you’re a stay at home mom wanting to document the precious fleeting moments with your children, or your a blogger needing better images, or you’re a small business owner trying to build a professional looking portfolio, you will love this course. 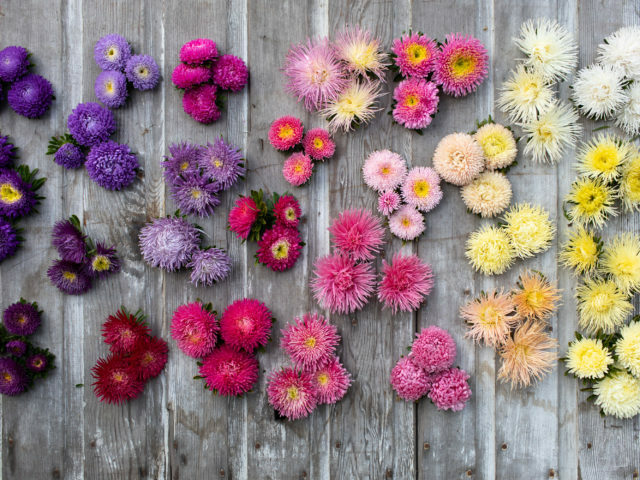 Read on for a few of Erin’s flower photography tips plus get a chance (well, 5 chances actually!) to win a free seat in her next course which begins May 15. One of the best things you can do for your business is to have quality photos for advertisements, social media, and your own portfolio online. Instagram especially is such an amazing way to connect and for clients to find you, but you want your work to be presented in a professional way. I know that often, if you are in the wedding business, you can sometimes rely on the photographers to share pictures with you, but it doesn’t always happen. So this course will help you feel confident enough to capture your work by yourself. Taking the time to set up a shot by finding some nice natural light either outside in the shade or inside by a window, and really thinking about what is part of that shot is important. You may be so focused on your floral arrangement that you fail to notice the clutter on the table, or the things hanging on the wall behind it that distract the viewer from really focusing on what you want them to. Become your own stylist! It’s fun and allows for some extra creativity. Go to a home goods store and stock up on some nice table linens and little objects that you can add into the frame to tell more of a story. Think about the surfaces you are shooting on. You can get creative and make some simple surfaces out of wood, or find a marble slab to work with. Table tops are great, as well as natural elements found outside like rocks and moss. A lot of people focus on the end results: the beautiful arrangement and forget about the interesting things behind the scenes. Clients would probably love to see photos of your flower farm or workspace because it adds some personality and visual diversity. Or even if you stop to capture some beautiful wild flowers on the side of the road…all those things just add a different element. Don’t be afraid to add in people to your shots to show some action! When it comes time to capture arrangements, the trickiest part is deciding where your focal point should be. If you are using settings (which we learn in this course) to capture a focal point and have the rest kind of blur away, you need to be very intentional with what you choose to focus on. My general rule of thumb is to position the arrangement in a way that showcases the biggest or brightest or most unusual part, and put your focus on that. If your natural eye goes towards one part of the arrangement first, that’s usually where your focus should be. Simple is sometimes best! Don’t make things too complicated. A few buds in a vase at your dinner table is a sweet little Instagram post. And always think about your intention when shooting: surfaces, depth of field, and objects in your frame all matter! I designed an e-course course for people like myself, who learn better by seeing than doing. An overload of information is not helpful, and stripping it all down to what you really need to know in a simplistic way allows for easy learning. Much of photography ends up being intuitive, but a strong grasp of the basic technical components is essential to the ease in which you can let your artistic intuition eventually take over. And how does that happen? Practice. A lot of practice! During this 6-week course, photo challenges accompany each lesson to help you work towards mastering these fundamentals.You can learn much more in the 6 week Eyes Open course that starts on May 15th! A mini floral lesson booklet is also included. Thanks for all the great tips, Erin! Floret readers can take $25 off using the coupon code “floretmay17” when registering for the class. And between now and midnight PST Tuesday May 9, you can enter to win one of FIVE free spots in the class. To enter, simply post a comment below with your favorite photography subject. UPDATE: GIVEAWAY ENTRIES NOW CLOSED. Thank you for your submissions and congratulations to: Melanie, Nicole, Alicia, Annette & Denise for each winning a seat in the upcoming class! Winners will be notified directly by email. All photos are looking very beautiful. Thanks for sharing with us! Erin, I purchased the 50mm lens recommended by “the other Erin” in her photography course, but I didn’t notice if she recommended a wide angle lens. Do you have any recommendations? I have a Canon Rebel DSLR body. Thanks so much!! Always gorgeous photos on your site! Thanks for sharing a photography resource with us. Great tips. We are in the middle of trying to build a catalog for our flower shop. Thanks for sharing. Great photos! I really enjoy taking photos of my arrangements! Great photos! Thanks so much for this blog post. I love taking photos of my arrangements. And indeed: I stored a couple of props to make my photos more interesting. Flowers in all their beauty subtle and bold, delicious texture and composition,the smallest detail is worthy of attention. I also love spaces that are part of our life. Gardens porches tables etc as well as dearly loved faces. The texture of old buildings; stone walls, lichen, shingle roofs, different bricks colours etc – so for example on a church I photographed recently in Chobham, Surrey (UK) the 1000 year old building had at least 6 different materials on one elevation (bargate stone, red brick, clunch, stone slates, plain tiles, like mortar). Wonderful! The flowers I grow and arrange are my favourite subject, love them! I love to photograph landscapes and the changing light in the evenings…and my cats😁. I am redesigning our garden borders, so the first flower on my beautiful new little plant is my favorite photography subject. I have two favorites, my two girls and flowers! Moments–so that they can be relived and savored again and again!-and small, ordinary, things that are beautiful in themselves. My family of course! There will always be photos of nature, places and things that are taken by many, but none are as special as the photos you take of the ones you love! I love capturing images that will strengthen a memory or that captures the intrinsic beauty of the subject or the moment in time. Favorite subject…my garden since it stays still when I take pictures. My boys are too fast for me. Lightning is my favorite photography subject! I can’t wait for these summer storms to start rolling in. I love to photograph flower arrangements at the historic site where I work. The natural light is beautiful. I love photographing plants, be it flowers, trees, or weeds. And, now that I’m a mom, my little one is a new favorite subject. Flowers, but my cats make great models too. Would love to learn how to better capture them both. I love taking photos of the flowers I’m growing or the arrangements I’ve made. I’m constantly trying to find just the right angle. This class would be so helpful! Thanks for sharing the knowledge. My garden is by far my favorite subject! I really enjoy taking macro photos of flowers and plants! My favourite subject is detail – detail in a flower, ladybird, the freckles on my son’s nose and just to spot something small and special that is often overlooked. Taking photos make me zoom in and enjoy the beauty all around. I love to get super up close shots of flowers and these pictures usually come out lovely. I definitely struggle to find the right location and light to get a great shot of a bouquet, corsage or arrangement. Flowers, butterflies, birds, bugs, trees, nature in it’s glory! I love photographing flowers close up. It really makes you look at the details we so often ignore. My favourite subject is our cat, Tiberius, but I have a soft spot for botanicals either in the garden or out in the woods. Thanks so much for all the tips! Enjoy the journey. Flowers and dogs are my favorite! Our farm is my favorite subject to photograph…We have a Christmas tree farm, small apple orchard, large vegetable garden, pumpkin patch and of course a you pick flower garden. I’m a very visual person and love sharing our farm with photos on our facebook page and website. Thank you! My favorite thing to photograph are flowers, but really close up to the center of the flower, in various stages. Sometimes they are just opening and the mystery of what’s inside is so intriguing (like a rose) and sometimes they are totally blasted and about to fall apart (like a ranunculus). Thanks, Erin! I am new to both photography and flower growing. I am in the process of planting and planning for a hopefully successful flower growing enterprise. I would love to be able to capture the serenity and grit it takes to turn a dream into reality! Thank you so much for the continuous inspiration! We have a great camera but I have zero confidence with it so my husband takes all the pictures and ends up in none of them. I would love to be able to take better pictures of him and the kids at their ball games and working together on things around the farm we just moved to. I am also hoping to start my own flower farm on the land in a few years! I feel like some really great photos would go a long way in helping me get the word out once I get the business started. This class sounds like exactly what I need! My kiddos are my main photography subject but now that I’ve gotten the cut flower growing bug I’d love to be able to take quality photos of my hard work paying off! My boys and my wreaths! Anything in nature is what I’m drawn to! The view from the top of a mountain, beach shores and all their critters, a field of wild flowers… My favorite things to photograph are what Mother Earth provides! On spring break I got wonderful photos of a horseshoe crab burying itself in the surf! 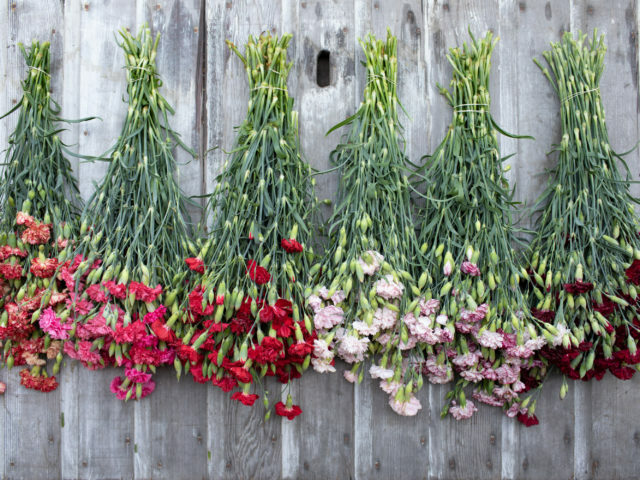 Things that grow–from seed to plate, to vase, to glass! My dog Stella and my family!!! My husband is my eyes wide open in my garden. He’s also my hero and I’d love to see him take this class so he can capture the beauty in our yard even better! Flowers and nature are my ultimate favorite subjects (especially as the kids get older and seem to know the camera is on them!). i love capturing a scene to share that I have just witnessed- natural light is ever changing so being able to grab the shot and say “THIS! This beautiful moment I saw and wanted to share with you”-that’s my delight. A bouquet of flowers against a bright blue sky! Wildlife – Fish, Deer, Mushrooms + Landscapes! The blessings in life and gifts from God! My chidren and grandchildren, pets, flowers, birds, butterflies, bees, and bugs! I love to zoom in on the perfectness of a single flower with others blurred in the background. Guinea hen fritillaria and moss on rocks and logs are my favorite subjects. Thanks for this opportunity. My beautiful girls are my favorite subject to photograph. But I also love photographing my bouquets as well. Oh my word- this sounds so helpful. Flowers are so beautiful on their own but it seems so hard sometimes to get the camera to capture it!! Flowers (duh!) and musical instruments! I love capturing a bride and groom’s first look! And small details like close ups of flowers, lace, or jewelry. Would love to win a spot in your course to help me take better pictures of my favs – our pets in our “wild” mountain backyard, and of course, arranged flowers with the mountains and woods as backdrops! I have a large perennial garden . Now that my kids are grown I put more energy there and love to capture the flowers on film. My favorite subject is my little guy. A close second is the early summer mornings, with dew blanketing everything, the soft light, the sweet smell, and all the beautiful flowers just starting to wake, taking the time to appreciate and photograph the sweet little blooms. I love attempting to capture the personality of flowers. I love photographing the major changes that I’m making to the outdoors of a dilapidated home we purchased last year! I want to evoke the way I feel about what I’m seeing–the beautiful landscape, loving people, intimate life, and objects of contemplation. My fave subject is learning how to shoot creatively. I want to stretch myself to look for and find the best angles and best way to tell a story!! really just getting started but the details of a flower; petal, stem, leaves are so appealing to me. I have a micro dairy that is self sufficient, we rotate pastures and have goats, pigs cattle and sheep. Little goats and piglets playing in the pastures is my favorite subject! Taking pictures of flowers has become a favorite, but just the general beauty of nature is a passion as well. I love capturing moments with my pup and with my grandchildren. I have also recently been focusing on trying to take good, interesting photos of my floral wreaths and other creations. My photos are primarily flowers from my yard and edibles in the garden. Landscapes … and flowers of course, ranunculus and peony are my favorite. There is nothing I don’t love to photograph but particularly I love capturing someone’s personality. I want to capture the lovely flowers I grow and my sweet pomeranian who is always (helping) me by digging holes. My favorite photography subject is nature in my yard. Sometimes it is the frost on the pine needles with the sun shining through. Other times is a glistening frog near the pond. Botanical gardens & our tiny garden! Thank you for the wonderful giveaway – my photography needs some new life! When the sky is so loaded with thunderstorm clouds, it intensifies the color of everything so much, that even the air looks blue and green… in that moment, I love to run outside with my floral arrangements, and capture them in that eerie, ethereal light, before the downpour. On the farm – the unusual stages for vegetable growth – such as the beautiful “hibiscus-like” bloom on okra, or the funny “feet” of sweet corn roots – are my favorite farm photos to share. My favorite photography subject changes daily but revolves around nature! This week it is fresh new leaves, since I recently moved to Vermont from California and I am excited to have survived winter. I can’t tell you how much I am loving the new leaves, like old friends that have been missing for too many months! Single stems of flowers blooming in my yard are my favorite subject. Through the lens I see details that I don’t stop to study otherwise during the course of a busy day. Thank you so much for this generous opportunity! Good luck to everyone! My 3 beautiful children and flowers, of course! I love capturing my children at play and the tender moments they share together…the special bond between siblings. That is what I love the most. I love to take pictures of the seasons as they change, the happenings in my garden and my two dogs! I’d love to learn to capture the beauty of my small flower farm and our surrounding woods as well as our children (one with her beautiful horses) and grandchildren (though they don’t stay still as the flowers, haha!). I enjoy taking pictures of nature as the seasons change, all the happenings in our backyard garden, and our two dogs. Daily life on our farm and micro-brewery. Fresh veggies and flowers from our northeast Ohio garden. The mountains would definitely be a favourite of mine. But this course could help me in so many ways! I am working so hard to begin my farmer florist, seasonal flower movement dream a reality. All i want to be able to do is share my journey in the most magical and authentic way possible. I am armed with a camera and ready to shoot! My children are my favorite photo subjects! And when it comes to still photography, I love photographing flowers and food. I’m always looking for tips on how to make my photos better! I love taking pictures of my garden and I have tons of pics from gardens I’ve visited. My pictures never seem to capture the exact colour and mood of real life, which is a shame because often I want to share those pics with others, so they too can be transported to that heavenly moment and place. I would be ecstatic to learn how to take good photos since I’m a newbie flower farmer and I can’t wait to share the beauty of my flowers. My favorite things to photograph are my two little boys, our rowdy border collie, and the cool things we make and grow. I take tons of pictures and would love the opportunity to learn how to do it better. Thanks for the tips! Your work is gorgeous. 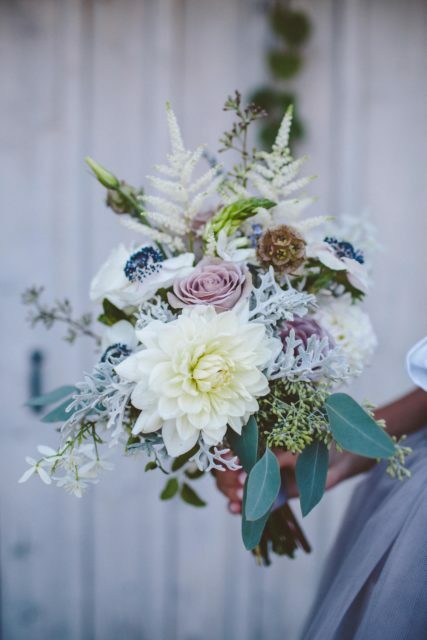 I’m a florist and would love to learn how to better capture my work! I have an urban farm on my rooftop here in NYC and would love to beautifully capture the process of growing fruits, veggies, and flowers in a city environment! My dogs, Fannie & Wilma! I need to take this course! I love using my “fancy camera” to document the happenings and harvests on my farm..but I need technical and artistic help. Full of gratitude! Definitely love photographing bouquets with a model in a hand picked outfit to accent the colors or add a specific bohemian style to the flowers. Thank you so much for the tips and the opportunity that you offer! I’ve been wanting to learn how to better my photography specifically for flowers and stationery products and will definitely look into your course! Absolutely flowers!!! Favorite to photograph, paint, and plant! I have always loved photographing people. I did street style photography in Seoul for a wonderful year and that was my absolute favorite photography experience. I love how perfectly a good photograph captures the subject matter, somehow showing more, not less, than what is there. I am always frustrated at my inability to capture what I see in a photograph. I want to capture everything, my children in their fleeting childhood, the seasons as they transform around me, family and friends in proud and unguarded moments. I tend to an English Flower Garden at a Public Garden and always struggle to capture the immense beauty through photographs, usually failing! Photos of my garden are my favourite subject. I’d love to learn how to capture it at its best. I love to take some Pictures Of my garden – and my greenhouse! Can’t wait to try these tips! Im a professional gardener on a farm and love photographing the vegetable and flower garden in the morning light. I only use my iPhone because I’ve always been intimidated by a digital camera. Loved the tips in your article. My favorite subject is nature, the flowers in my garden, farms at sunrise, hay bales, cows and barns. Awesome post!! I am a photo geek! I like to take pictures of random things. A rock in the driveway, funky looking bark on the tree, messy spaghetti face baby, awkward first big tooth. Baby blooms, fading blooms. My list can go on! Thanks for the photo tips. I love it ALL, but my guys and flowers are my favorite! I love “trying” to capture all the flowers I grow in the greenhouse and field. I was blessed to win one of the spots in an earlier giveaway from Florets kind heart and it literally changed my life in many ways. Erin Little is a fantastic photographer and instructor – my photography grew in so many wonderful and measurable ways all from her Eyes Wide Open course. Erin provides insight that propels you forward no matter your photography skill level. The course was laid out in an easy to follow format and assignments were so much fun. I loved getting to see the world through my course-mates eyes and learn from and alongside them. As you can see I loved Erin’s course. I would tell anyone looking to change their photography game for themselves or for their business to do not hestitate – take the Eyes Wide Open course – you will be so happy you did. My heartfelt and forever thanks to Floret for the more than generous giveaway and for Erin Little’s wonderful instruction. Thank you, Wren, for your kind words and sharing more about your experience with the course! Thrilled to hear that you loved the course, too! I recently started playing around with my husband’s canon camera. I love photographing my one year old son. It’s a joy to capture his curiosity. Next up would be the mountains here in Colorado,followed by the floral arrangements I make. I recently picked up my husband’s camera and started playing around with it! My favorite subject to shoot is my one year old son! Next up would be the mountains here in Colorado then followed up by my floral arrangements! I recently picked up my husband’s canon camera and have been playing around with it. My one year old son is by far my favorite subject to photograph. Second up are the mountains and then of course flowers! I’m mainly a wedding photographer so I adore photographing sweet and passionate couples! My favorite detail shots at weddings are most definitely bridal bouquets! They’re always so unique and speak so much to the personality of the bride which I love! My favorite thing to photograph are the edible gardens I create and the flowers and food I harvestvftom them! I love landscape photos and hope to get better and better at taking them! My garden, family, and wildlife are what I’m always capturing with my camera! I would love to take this course. I love to photograph my home and architecture, but by far, my favorite such is my children. They are so animated. And with four, it’s an adventure to see what face expressions I capture! I love taking candid pictures of my kids! The goofy smiles and random faces are the best. Also, I work for a flower and vegetable farm and we are always looking for ways to improve our marketing through photography. Since I was a kid, my favorite photography subjects are flowers and old wooden buildings, preferably together. I love photographing my deck garden at about 9pm in the summer. Magical! Would love to take a class that is so specific to flowers. They have always been my primary subject matter. I love photographing homemade loaves of sourdough bread… they cooperate much better than my kids and pets 😜! I love photographing the historic architecture in my neighborhood, as well as neat old cars! My favorite subject to photograph at East Fork Farms is flowers flowers flowers; we grow dahlias and daylilies. My grandchildren, pets, honeybees and dragonflies. I love photographing my farm animals, especially the chickens! I love to take pictures of our flowers, our three boys, who are quickly growing into men, and the property we are all blessed to call home. What a wonderful course topic! I’d love to win so I can share tips with my fellow Master Gardeners in central Virginia and many residents in my county where I teach and serve as a Master Gardener volunteer. Let the adventure begin!!! My garden is my favorite subject. There is just nothing like taking a shot of a bee on a bloom or of vegetables with dew still clinging to the vine. I struggle with composing shots on a table or and taking shots that aren’t about just a detail or two, but a group of things. Thank you for the opportunity to win a spot in the class! The course looks so interesting! I love to photograph landscapes – especially the crops on our farm. I love taking candid pictures of my kids! The goofy smiles and random faces are the best! I also work on a flower and vegetable farm where we are always looking for new ways to improve our photography for marketing. I have always been drawn to capturing flowers I stumble upon. Although more recently I have challenged myself by capturing birds and their behavior, and the end results are often stunning and something I’m proud of. I love capturing my kids on camera, particularly when they exhibiting love towards one another (completely unaware)-the absolute best! I also love goofy shots of our pets and shots of our garden. Still trying to get the elusive shot that captures I beauty I see every day in the garden, but more often I am capturing projects undone in the frame (so often, i am sharing digital photos and saying, “but don’t look at that part”, or “that is next week’s project(s))! I love to photograph my two year old, Liliana. But she is awfully wiggly so I also enjoy photographing landscapes, especially with big beautiful skies. Ooooh, It is one of my personal goals to take this class! I really want to learn to use a camera properly and take portfolio presentable photos of my flower farm and floral creations. I love to take photos of flowers, skies and reflections. My teenage daughter and I plant zinnias around our farmhouse specifically to practice our photography skills. We love the color and form. They invite bees and butterflies into the picture and provide candid shots of our cats trying to attack birds through the window! My favorite subject for photos or anything, has to be my grandchildren. My second love is flowers, whether wild in a beautiful landscape, seedlings just starting to grow or anything in between. I am continually amazed at the beautiful photos of Floret. Sometimes it’s a blooming flower, or something I see on the walking trail along the beach, sunrises and sunsets, the mountains, trees or anything that catches my eye. Flowers and vegetables from our farm! Just made the jump to a DSLR and would love to take this course. Thanks for the tips! I love taking photos of anything nature oriented (landscape, flowers, trees, animals) and, of course, family. I just moved to Seattle from the East Coast, and it has been difficult leaving family and friends behind. One of my goals is to make sure I take advantage of the beauty of the Pacific Northwest and learn as much as I can about, exploring and documenting it. I’ve had a digital camera for years and really don’t know much about using it. I’ve got to figure that out soon, as spring has arrived and the mountains have appeared! All the way from Barcelona, Spain! I’m currently studying floristry and really want to take my photos to the next level. I have a lot of creative projects to hand-in, from simple flower arrangements to large bouquets, and need to take photos of everything. I love wandering in nature, foraging and taking photos, while surrounded by the deep silence and calm. I love to photograph interior design elements, interesting cityscapes and of course nature! I also love to photograph flowers and the arrangements I make. My favorite subjects are my baclyard chickens! Love this article, when I’m not taking the daily dog shot of the day for my college student son, I love to take photos on the beautiful walks I take around the Southern Californian area I live in, whether spring fields or the beach. My top thing to shoot is my baby out in the flower garden :) My 2 favourite things together! Photographing flowers is part of my job and I love all varieties! I would like to be better at it. Also I love taking pictures of wildlife, my darling pets and nature. My favorite subject is vacation landscapes, but it’s hard to beat the garden walking up in Spring. My favorite photography subject is food! I’m an avid home cook and I love photographing recipes in process and final outcomes once a dish is finished. Being the head of marketing for a specialty grocery store, alluring food photos are essential for successful social media posts. I’d like to learn skills that can add depth, dimension and intrigue to my images. Browsing my instagram, my favorite subject has to be what I grow- flowers, veggies, kids, fur babies. Yes! What I grow. :) Love taking pictures! My gardens, my vintage finds and my grand babies. My gardens, my vintage finds and my grand babies! I love photographing my children helping in the garden. I could definitely use some work with my photography skills. Interested in this course! I love to photograph nature and wildlife and of course my cat! 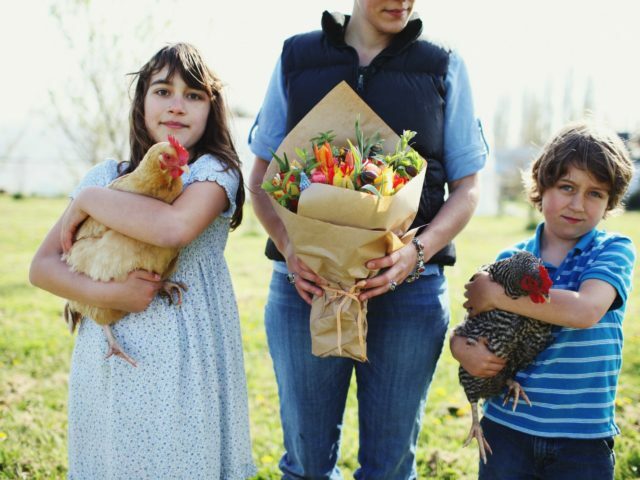 My favorite things to photograph are the memories being made on our farm with our children. Thanks for the great tips! Flowers in my yard are a favorite subject of mine to photograph – and also blossoms at a local orchard. I love photographing my flowers and arrangements. I’d love to feel more confident in my photography though! We frequently experience stunning sunsets on our farm and I see how light changes with the day or the season. I would love to be able to capture that light on our farm. I love to take photos of all the things that make me smile – my husband, our garden, friends and family, travel destinations, and things being prepared in our kitchen. I love trying to capture great light in photos in somewhat dark settings. I enjoy photographing the “evolution ” of my 11 acres and its inhabitants – our rescued Belgian draft horses, our four Newfs, our chickens, and the various pass-throughs like bears, coyotes, and DEER. 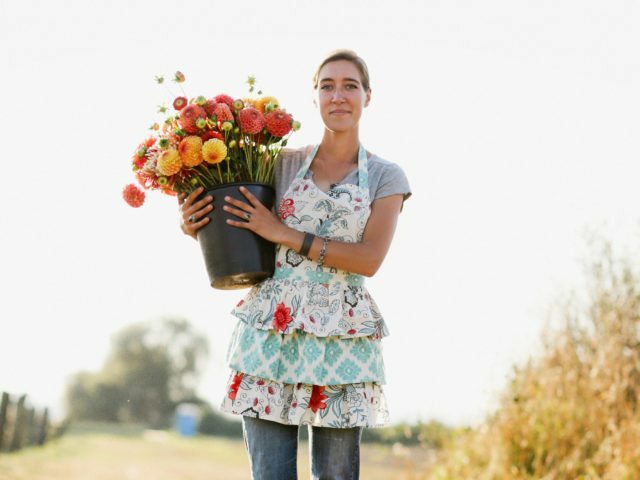 But as I pursue my dream of becoming a professional vegetable and flower farmer (“Feeding the body and the soul “), it’s important to me to learn how to engender the same awe in my customers that I feel every time I see a beautiful pepper or blossom! I would love to learn the fundamentals of beautiful floral photography. I am just beginning my flower farming dream/career and it would be invaluable! My favorite photos to capture are of my daughter outside in nature and the flowers in my garden, specifically my zinnias! Great tips, thanks. I enjoy taking pictures of plants, birds, humans and animals (especially our 2 dogs). I love photographing the coast of Maine near our home. Itoh peonies are another favorite! I live in Maine too and never tire of photographing the coast near our home, especially as the fog drifts in. I also love photographing my Itoh peonies! I love taking photographs of water; rivers, lakes and the sea. That includes all the other bits such as the rocks, plants and wildlife found by bodies of water. I love capturing nature and my two boys. My favourite photography subjects are flowers, nature, people and my dog. I just love taking photos. I love taking pictures of my floral designs. I would love to get better at it, I am usually rushing out to the event and my pics reflect that! The beauty of God’s creation at this time of year. Flowers, pets, gardens. Just wish the sound and smell were there too!! But hopefully the photo evokes that memory. I’d like to learn more about capturing all the diversity of our herb- and flowerharvest. The colours, textures and seasonality of our farm is definitely my favourite subject. My favourite subject is definitely the diversity of our harvest: herbs, salads and flowers. My favorite subject is our urban farm/flowers. I’m also a garden and travel writer, and I really need to learn to use my camera to its potential. Thanks for the information about the course! I love taking photos of the scenery on my walks, and little bits of nature in London. And since I started growing flowers on my balcony last year, they’re a favourite subject too! I love to photograph everything nature!! I just wish I new how to work my camera better. Sounds like I need this course! I’ve tried to post comments several times. Would LOVE this class and would increase my knowledge and self-confidence and hopefully my business! I love taking pictures of my pets but need the skills and confidence to take pictures of my arrangements! I would have to say my pets! I feel every time I take pictures of my arrangements the lighting is wrong or I don’t post thr image I’d LOVE to take this course to learn the basics of taking pictures of my arrangements not only to boost my confidence but my business as well! My favorite thing to photograph is my pets! My lack of knowledge in the field of photography (yes that includes an iPhone) is massive – so much so I rarely post my arrangements or even the beautiful things arpund me. Knowledge=confidence! I’d LOVE to attend this online workshop so I can take better pictures in general, but mainly to boost my confidence in picture taking which would help my business grow! I’m a rose petal farmer so I love to take photos of our rose petals and our rose farm. Winning this course would be amazing as I’d love to learn how to take beautiful photos of our flowers and farm for our website and social media. I love photographing my floral designs (and flowers in general), but my very favorite subject is my sweet little black cat! I would love to be able to use photos to tell my story, communicate in an interesting and real way my love for my garden and flower business. Love taking photos of the everyday simple things, but mostly flowers capture my heart….specially teeny tiny ones. My favorite subject is beauty, in all its forms. My children, my flowers, a pretty dish, blueberries in the morning sun, etc. I especially love capturing beauty in the ordain art, every day life moments. We have a grove of Oregon White Oak trees that so enjoy taking shots of. There is likely to be a beautiful sunset behind them or snow on their bare branches, or morning fog gently rolling in all about them. And it’s both fun and exasperating to get shots of my garden bed in the foreground with those majestic oaks in back. I take pictures of flowers, bugs, birds and the mountains across the pasture on our farm. I really enjoy taking pictures and usually haul my camera around while I’m working. Landscapes are my favorite! I enjoy people and flowers as well, and being able to capture a simple smile to remember for years to come. I love taking photos of nature and in particular I love love love flowers!! Beautiful photos in this article. Thank you for sharing your tips. My favorite subjects are flowers, grasses, clouds, trees, bees, or anything of “Nature” and jewelry, as i am a developing silversmith. I would love to learn photography strategies and skills. I love to taking pictures of my garden and my kids. Flowers are currently holding first place of favorite subject to photograph till our fisrt child arrives in June. I can’t wait to take photos of our little girl. This sounds like a great course! I love taking pictures of my garden, my kids, and the lovely landscape around me when I am trail running. I love to photograph birds, bees, and butterflies in my flower garden! I love to photograph birds, bees and butterflies in my flower garden! Right now I’m trying to get better at capturing pictures of the sunset. Would love to try this course! My favorite photography subjects are my son, my bulldog and of course the beauty in my garden. Thank you so much for these tips, Erin! My favorite photography subjects are my children and our farm animals. There’s nothing cuter than a pile of napping piglets. My 6-mo son, 12-yo dog and my cut flower garden are my favorite subjects to photograph! I love capturing candid photos of my kids (it’s especially fun to see their reactions while flipping through photos of themselves at much younger stages and sharing the stories behind the scene!). A close second to kid pics is anything outdoors! I am a beginner flower grower so want to capture my journey on the way to running a full blown flower farm. At some point I want to have a website with a blog so will need great photos to go along with it. My favorite subject is my farm, including my kids, cats, horses, flowers, orchard, fields and heritage barn. I’d love to learn more about how to make my photos come out how I imagine them and could also use help in my marketing work as a development director at a small private school. I enjoy photographing my family and am looking forward to taking photos of my first grandbaby who will arrive in July. I love taking pictures of my flowers before the sun goes down. The lighting is so magical then and makes them look ethereal. I enjoy photographing my family and am looking forward to taking lots of photos of my first grandbaby that will be arriving in July. I also love capturing butterflies when they land on the flowers in my garden. I love taking pictures of grand kids playing with the fairy gardens they made .I love seeing the joy in their faces when we use the bubble machine! My daughter with her wild curls is my favorite subject. My kids! Definitely interested in this course! I love to photograph contained gardens. Plants in weathered terra cotta, classic urns, unexpected containers. Something about the form of the planter and the movement of the flowers captivates me! I just don’t know how to do it very well…yet! I love to photograph family along with my home, both inside and out! My favorite subject is my 7lb rescue pup Toby. He’s such a character and I love trying to capture all of his personality in a photograph! Capturing the innocence of my children and the raw beauty of the garden in photographs makes my soul full. Thanks for the photo tips and for sharing your knowledge so selflessly. My favorite subject would be landscape & scenery. I love capturing nature scenes, flowers and candid shots of people. My favorite subject to photograph is flowers in my garden just before the sun is going down. There seems to be a magical light at that time of day that makes them look like ethereal. I work in agriculture, so I love taking photos of anything ag-related – crops, equipment, people. And my flowers, too, of course! I spend most of my time trying to capture the little moments in my children and grand-childrens’ lives. For fun, I also enjoy taking photographs of my gardens, and furniture that I refinish. I have a nice Nikon SLR camera and I’ve never been sure enough to take it off the “auto” setting. Which is probably why I’m usually disapponted in the quality of my images. I always love to look at Floret Farms images and often try to replicate some of their approaches. Of course, my flowers never look as beautiful as Erin’s do. I love to take photos of my lakeside gardens, my dogs, and sailboats. I would love to better understand my digital camera and my lenses! I love photography! My favorite subjects​ are my kids and pets. I love taking pictures of the interior of my house, but they never look as good as I think they look in person! I would love to be able to take better pictures. Help! I love to photograph ferns! Living in the Northwest makes it easy because there are so many different native species growing everywhere. There is something so beautiful and delicate the way ferns seem to catch and carry natural light. It’s like they are begging you to take their picture! I love taking farm pictures and flower pictures. I love photographing ferns! There is such a magical way that they seem to catch natural light so beautifully and delicately that they are just begging you to capture it! I love to photograph my flowers and also my family and my two dogs. I especially love those candid shots that capture the emotions of the moment. My favorite subject to take photos of is the wildflowers on our farm. Some would call them weeds. Love this! Going to try some of these tips. I enjoy photographing my friends being themselves, but capturing nature photos is something I’d love to get better at. Aside from photos of beautiful Montreal, my favorite new subject is flowers! I am a new florist and the pace at the flower shop is so intense I hardly have a chance to snap a picture with my phone before the bouquets go out for delivery! Would love to learn how to take pictures to make the bouquets justice and hopefully one day build my business! I love taking picture of my surroundings! It varies so much and is never the same twice with 3 growing kids, 2 dogs and the changing seasons! Would love to take this course and improve my ability in capturing the things I enjoy around me! Great tips! My favorite photography subject is artisan cheese. “Nature”, in general. I love taking pictures of plants and critters.